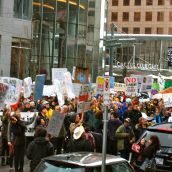 Vancouver - On a soggy Monday afternoon, hundreds of people rallied against the proposed Enbridge Northern Gateway pipeline from the tar sands in Alberta to Kitimat, British Columbia. 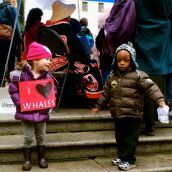 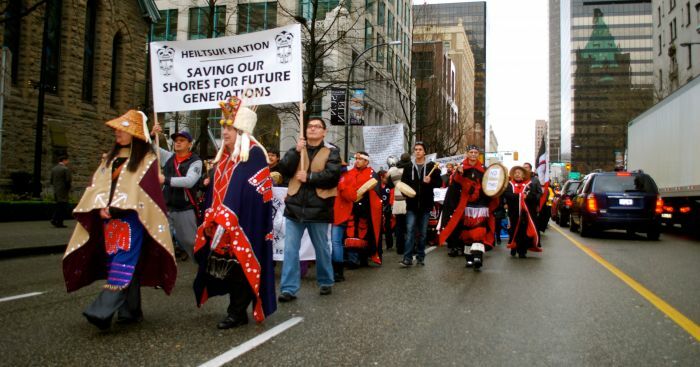 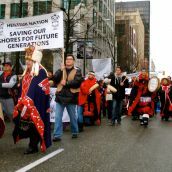 The protest was lead by the Heiltsuk people, whom proudly describe themselves as the care takers of their territorial lands and waters, in the Great Bear Rainforest on BC’s Central Coast. 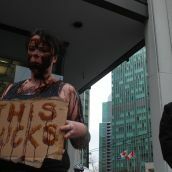 The rally began modestly at the Bear Initiative Office on Granville, swelled at the Vancouver Art Gallery, then hit the streets for a march to the Enbridge office on Burrard. 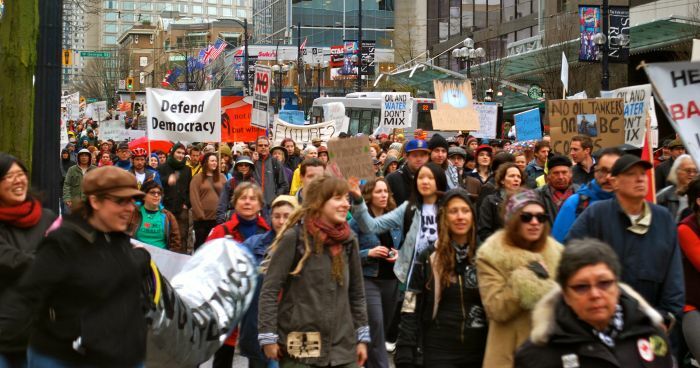 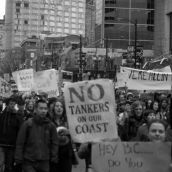 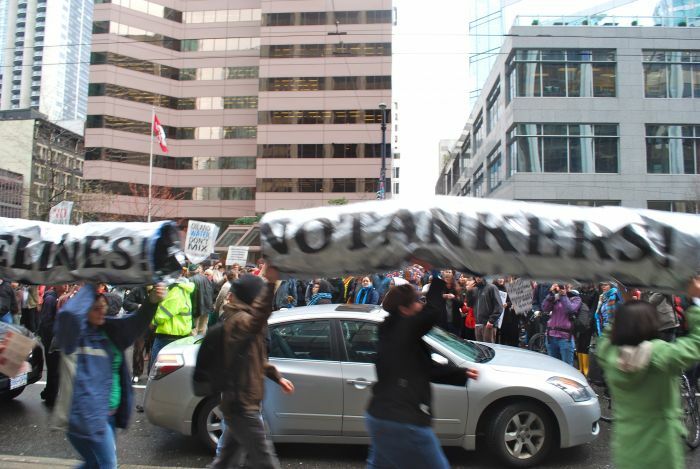 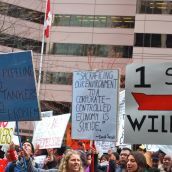 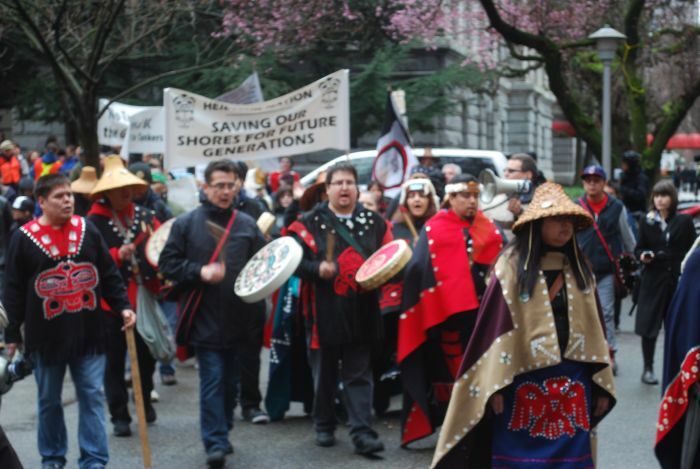 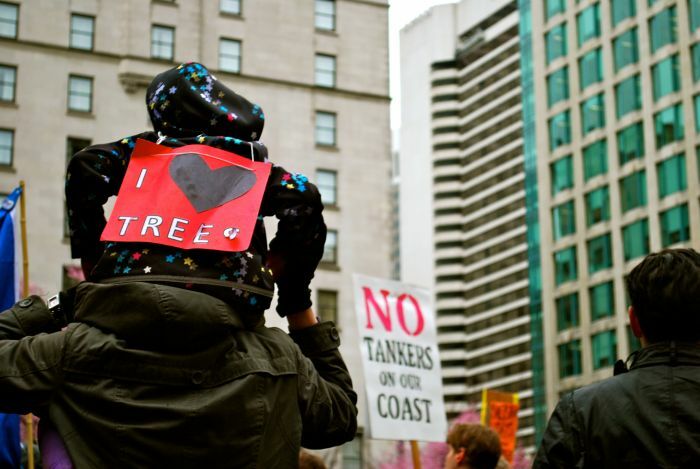 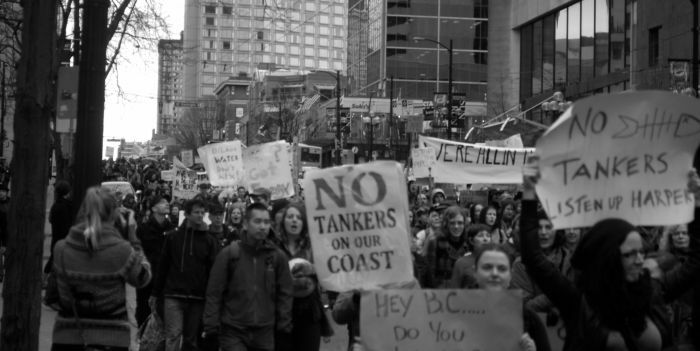 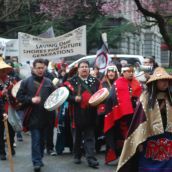 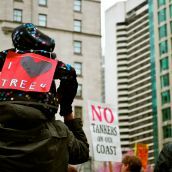 Following Blaney’s igniting performance, hundreds poured into the streets with placards, banners, and chants denouncing tar sands expansion across BC. 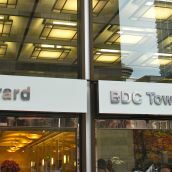 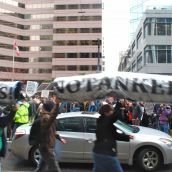 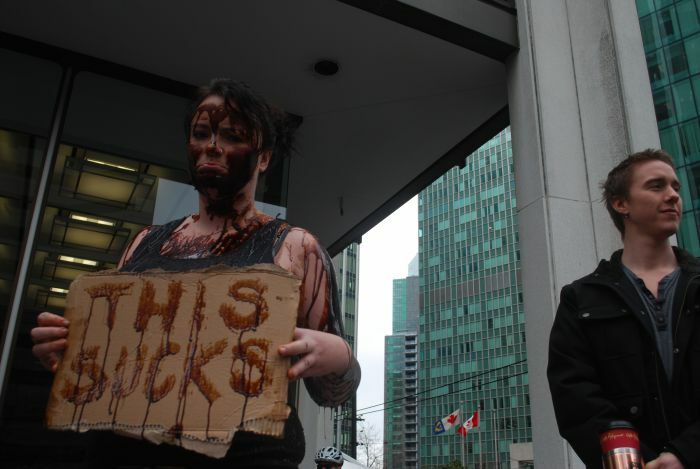 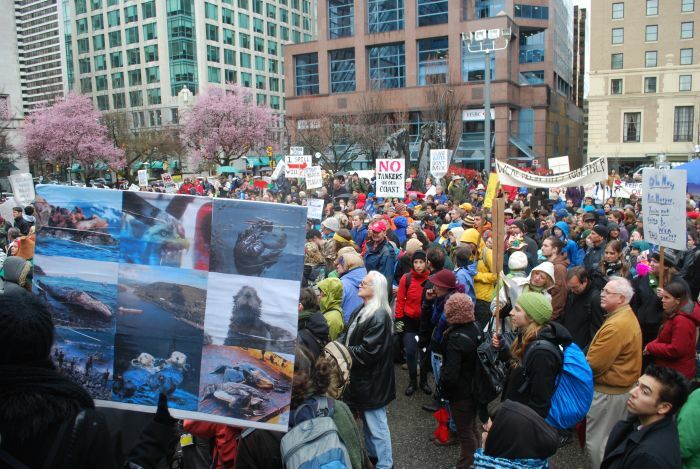 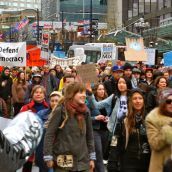 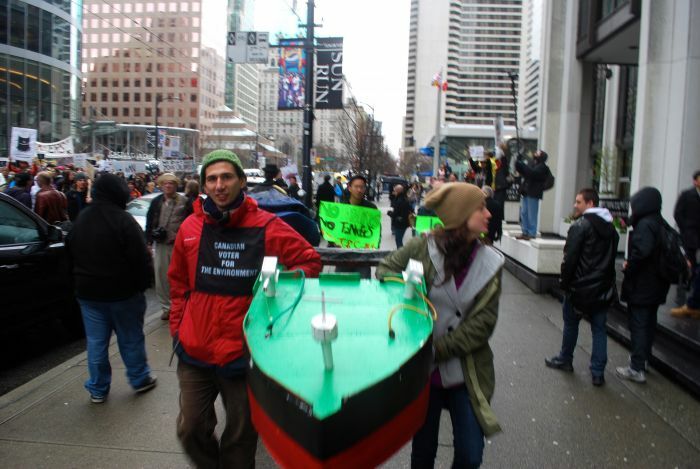 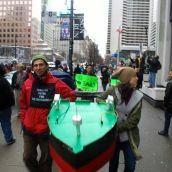 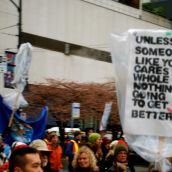 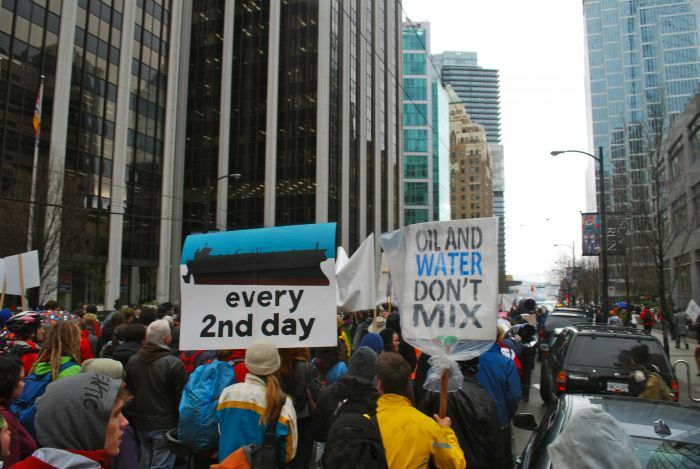 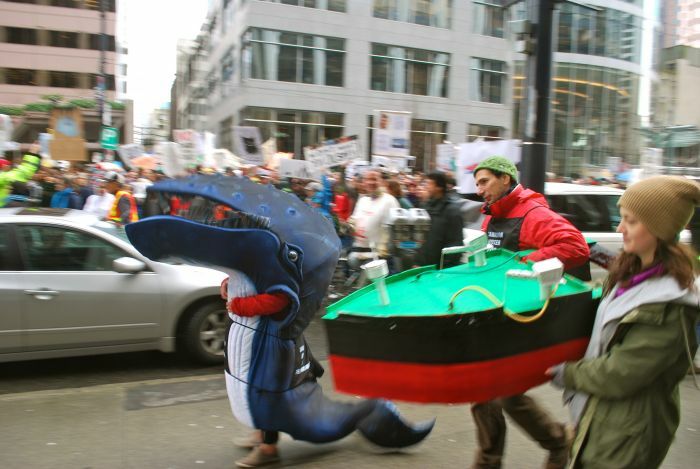 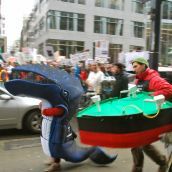 The spirited march ended with a massive rally in front of the Enbridge office on Burrard street. 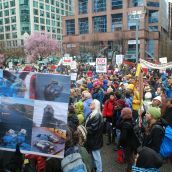 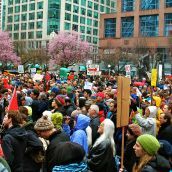 If this many people can be galvanized on a rainy Monday, it is certain that more and larger rallies will be planned in the future until Enbridge and Kindar Morgan come up with better ideas for British Columbia’s coast. 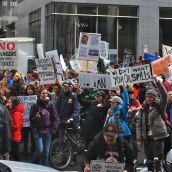 Great turnout, terrible speakers. 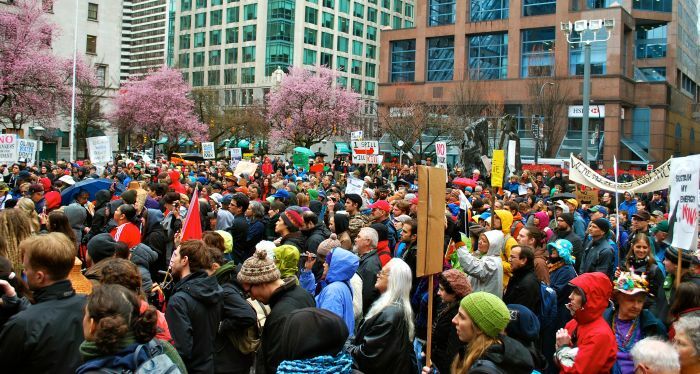 Seems many in the eco-NGO world are trying to distance themselves from accusations they are 'radicals' but with no understanding of what the word means. 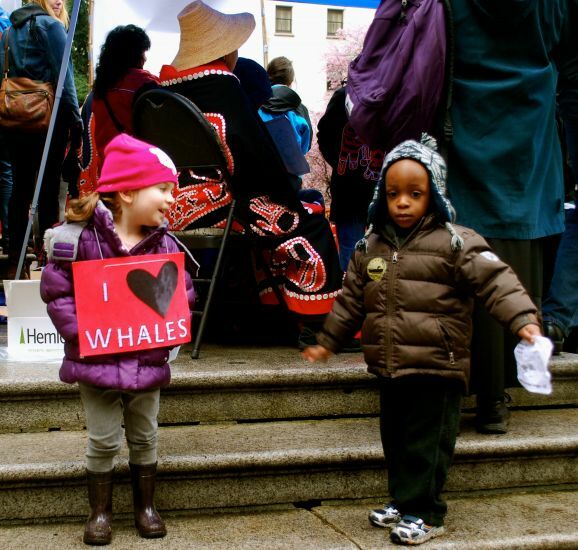 Ta'Kaiya Blayne moved the crowd to tears with her beautiful song "Shallow waters". 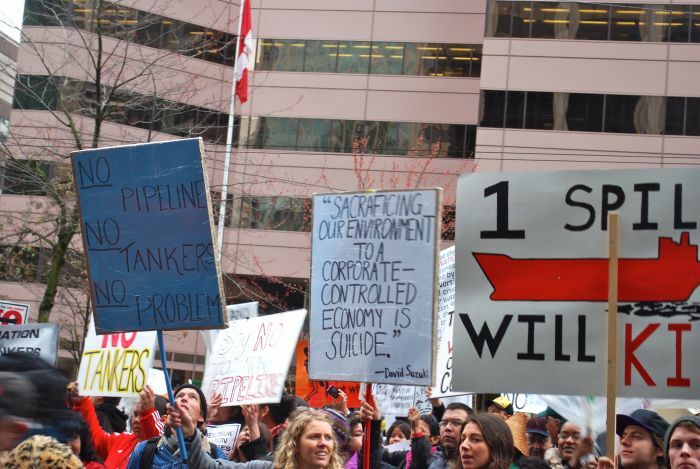 The speakers were amazing, emphasizing a united front against the Enbrige Pipeline proposal. 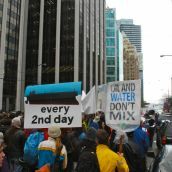 Impressive to have such a strong turn out on a week day despite the weather. 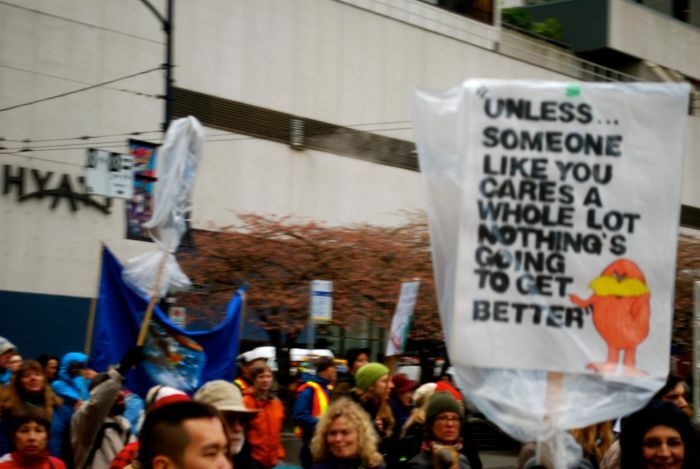 ... if you're a reformist.